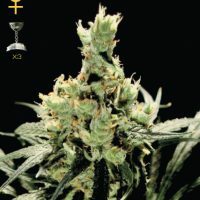 Paradise Seeds Acid female produce a cannabis plant with photoperiod genetics and a flowering time of 9-10 weeks. Acid has an effect described by the breeder as ‘Powerful, overwhelming, uplifting’ and a taste that is ‘Sour, grapefruit’. Buy Paradise Seeds Acid female at the lowest price online now! Mental Holiday Looking for a soaring high that numbs pain and has the ability to take you away from the day to day grind? Look no further than Acid, an indica / sativa cross that is our own take on the original New York City Diesel. The original strain of the Diesel was developed in the US. We selected a Diesel mother plant and crossed it with our favorite Dutch genetics to create Acid, one of our next generation strains. This breeding process has created a cross variety that comes with real super powers. It is stronger and more potent than the original Diesel and produces big yields too. As the name suggests, expect a powerful combination of narcotic sensations (positive and uplifting with a pleasant psychedelic stirring). The taste and smell, which inspired the name Acid, is specific – metallic and slightly petrol – in keeping with the distinctive flavor of Sour Diesel. This strain is good for indoor and outdoor growing. The inside gardener will appreciate this plant because it is enjoyable to grow 9-10 weeks flowering time). That said, when it flowers it becomes rather fruity and the smell can be an issue if you don’t have good filters in place. However, if your odor beaters are well secured, then the bouquet of this plant is one of its special characteristics. Outdoor, Acid will grow in the northern hemisphere (up to 50deg n.L. ), although yields won’t be so impressive as those plants grown in warmer climates. 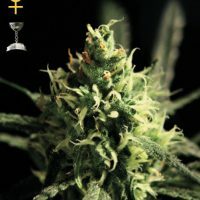 This plant responds well to sun beams and will reward the grower in southern regions around the Mediterranean, from Spain to Croatia, southern US states and parts of South America. The effects of Acid are impressive. Expect to feel as light as an angel and your day to take an unexpected shine… Definitely good for inspiration, not to mention an energizing tonic if you need some get up and go for a night time shuffle. Acid is a favorite with medical cannabis users too, easing the symptoms of pain and depression and lifting the body. 400 g per m² indoors in soil, 700 g per plant outside.